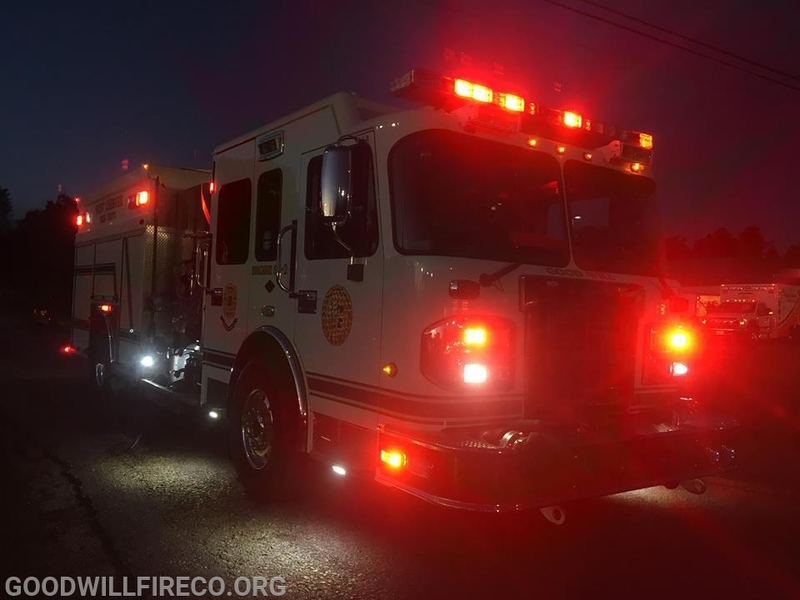 Good Will Volunteers had a busy week for Fire Prevention. 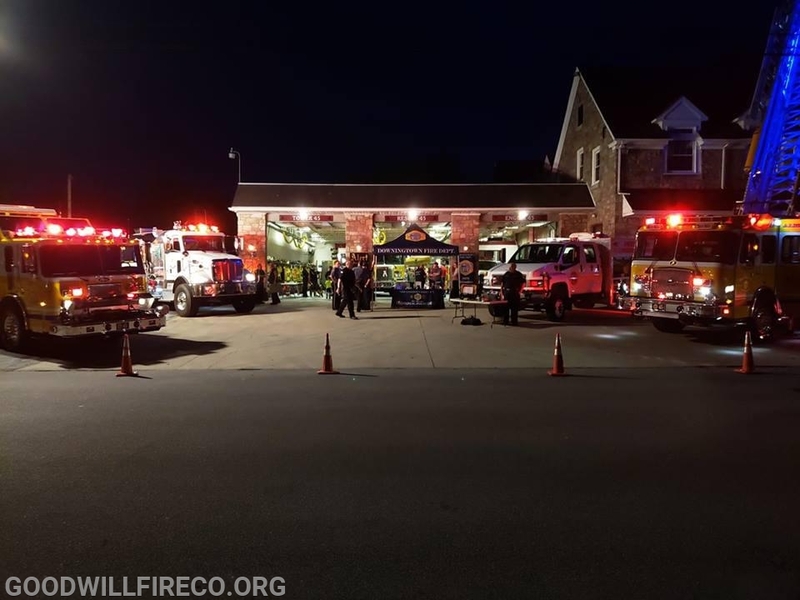 Wednesday night Tanker 52 (FF A. Smiley) traveled to Alert Fire Co. in Downingtown, for there open house. Tanker 52 stayed for a few hours and later returned. The next day FF S. Crum traveled to the Calvary Preschool for Fire prevention and a demo, he stayed for a few hours and taught the students about Firefighters and what they do. The following night, Engine 52-2 (Capt. Dimeo), Air 52 (FF A. McCarthy) traveled to Goshen Fire Company to Participate in there open house. 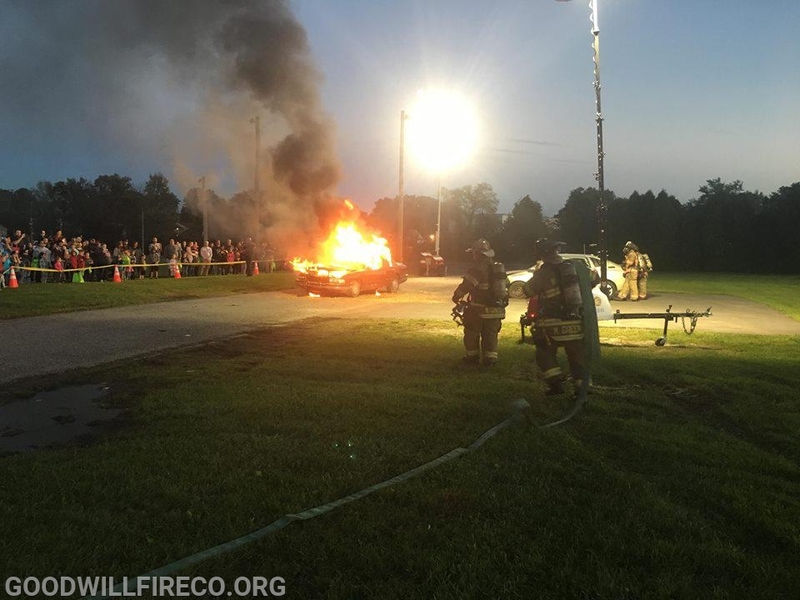 While at Goshen Fire Company Engine 52-2 participated in a Car Fire Demo, which allowed the community to see how Firefighters extinguish a car fire. 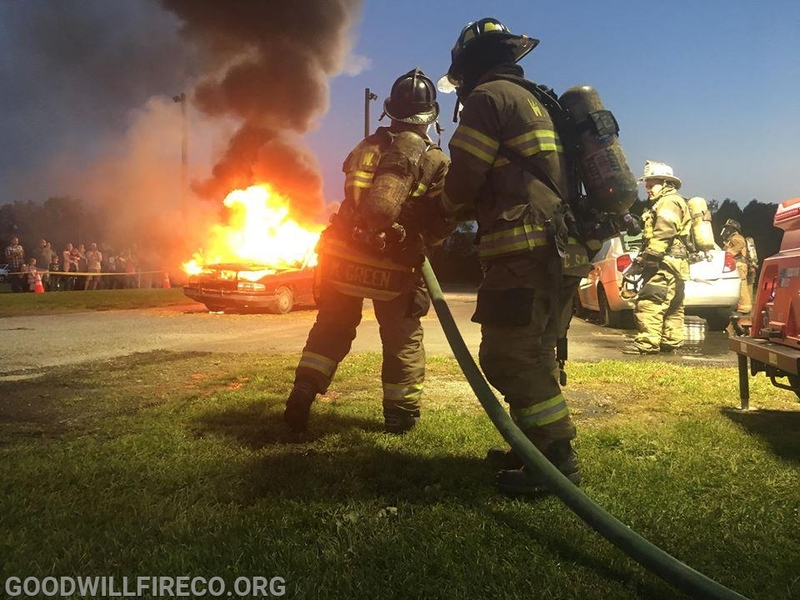 Tanker 52 at Alert Fire Co.